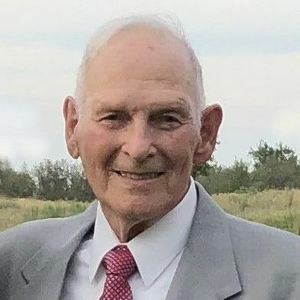 Patrick Ole King, 88, of Anderson, passed away April 6, 2019 at his residence. He was born July 16, 1930 in South Bend, Indiana, to the late Clifton Percy and Ellen (Johnson) King. He spent his childhood years in Minnesota, West Virginia and South Carolina before moving to Anderson in 1941. After graduating from Anderson High School in 1948, he received his undergraduate degree in Education from Ball State University. He served his country in the United States Army during the Korean War and returned to complete his Master's Degree at Ball State. He was a teacher and coach for thirty-five years in the Anderson Community School system, retiring in 1988. Survivors include his children Pat (Becki) King, Steve (Sharon) King, Jeff (Kathy) King, Karin (Nathan) Harter, Kathi (John) Oakes, and Kristi (Glenn) Neilson and eleven grandchildren. He was preceded in death by his wife of more than thirty years Marilyn (Zoch) King, brother Clifton King and sister Ellen King. A Celebration of Life Open House will be held Saturday, April 13th, 2:00-4:00pm at Brown-Butz-Deidring Funeral Services & Crematory, 515 E. 53rd St., Anderson, IN 46013. Memorial contributions may be made to Fisher House to benefit military and veteran families.